Many hunters consider Nevada to be the “ultimate” sheep state for reasons such as a variety of species, a relatively large species population, and a high hunter success rate for bighorn sheep. Nevada is unique because there are three different species of sheep found in the state: the desert bighorn, the California bighorn, and the rocky mountain bighorn. Nevada has more sheep (of three species) than any other state in the contiguous U.S. For additional information on bighorn sheep numbers, visit the goHunt website. Although once depleting, Nevada is now known for its abundant desert bighorn sheep population. 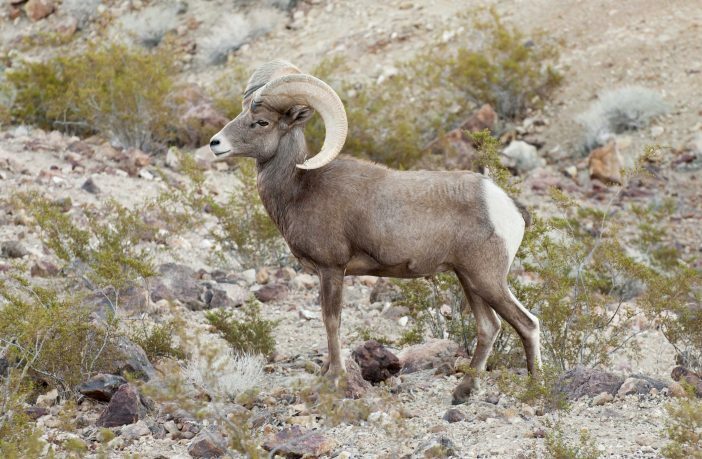 Conservation efforts led by Nevada Department of Wildlife (NDOW), the Wild Sheep Foundation and other NGO groups have led to the rapid growth in the desert bighorn sheep population throughout the state. Because sheep population numbers are active in many parts of the state, the state can assist populations in less-thriving areas. Relocating sheep from well-performing areas into struggling units can improve poor populations over time. In 2018, Nevada hunters harvested more sheep than any other state in the contiguous U.S., and more non-resident sheep tags are being offered in Nevada than in all other states combined. There is a high hunter success rate in most units for bighorn sheep. Nevada’s conservation efforts have also benefited conservation strategies in other states. In the late 1950s, bighorn sheep had almost disappeared from the West Texas mountains. 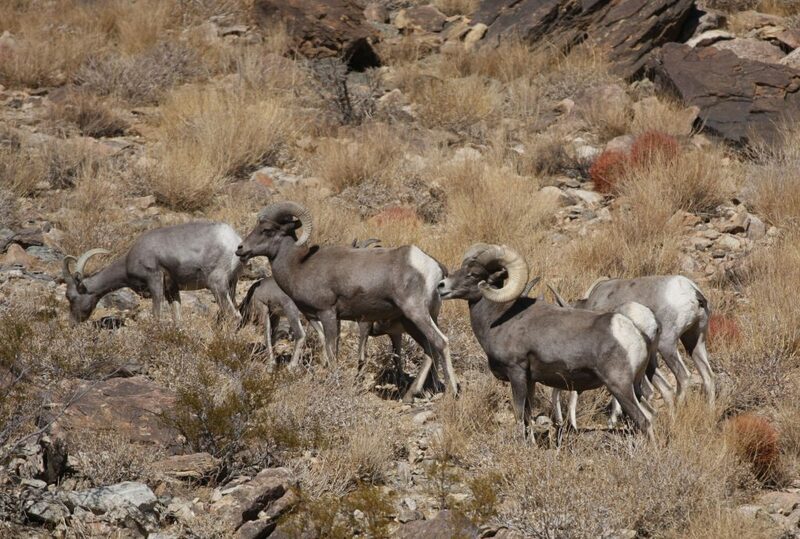 Texas recognized the problem and had no choice but to call on other states for help, and as a result, the Texas Bighorn Sheep Restoration program was introduced. Arizona, Nevada, and Utah contributed desert bighorn sheep to the revitalization effort. Primarily due to mutual conservation efforts and state cooperation, the bighorns are back in Texas—a success story worth repeating. Try to picture the bonus points system as a type of “raffle.” You get one “raffle ticket” when you apply for the draw. Bonus points act as additional “raffle tickets” for the draw. If you don’t draw a tag, Nevada allocates you a bonus point, and your odds increase the following year. Visit the Nevada Big Game Draw website for more information on bonus points and the draw itself. For a successful hunt, you need a great strategy. We recommend that you consult the previous year’s harvest records and species reports. These records that are available to the public reveal many useful pieces of information such as unit success rate, harvesting statistics and more. GoHunt.com is an excellent option for hunters who want access to public agency records on an all-in-one platform. Drawing a sheep tag is challenging in whichever state(s) you apply. If you are the fortunate one who draws a sheep tag, maximize your opportunity. Get out there and scout! Scout as much as humanly possible. The more familiar you become with your hunt unit, the higher the chance you connect on the ram of a lifetime. Prerequisites to a successful sheep harvest often are an intimate understanding of the terrain, specialized gear and an experienced pair of eyes – this is where time in the field can really shine. If you have the opportunity to hunt in Nevada but not enough time to do it right, consider contacting a professional hunting outfitter for your trip. A quality outfitter will ensure that you have the right gear and knowledge to make your hunting trip safe and successful. The last strategy is a tried-and-true strategy employed by many a hunter—apply everywhere. The best part about hunting in the West, Nevada or otherwise is that you have a relatively good chance of hunting somewhere every year if you apply everywhere. The odds of pulling a tag in Nevada only increase over time with bonus points. If you don’t draw, know that your application puts in you a better position for the next year to succeed. Register for the Nevada Big Game Draw.